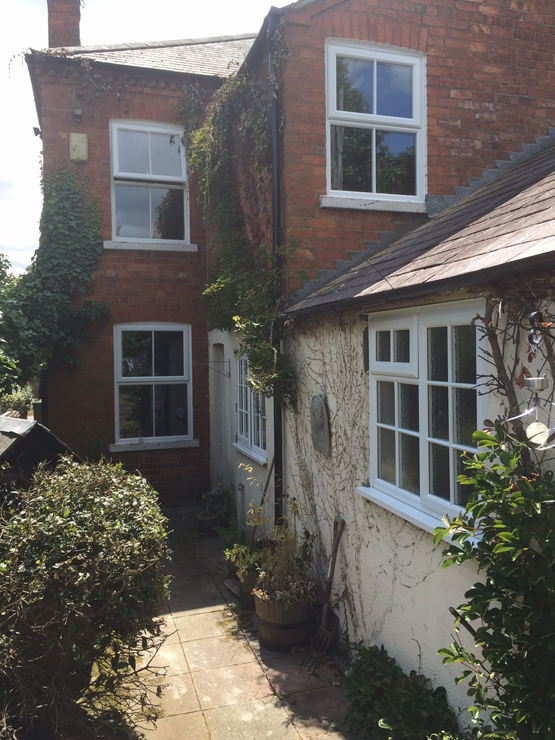 The property is a traditional terraced home built in the early 1900’s. 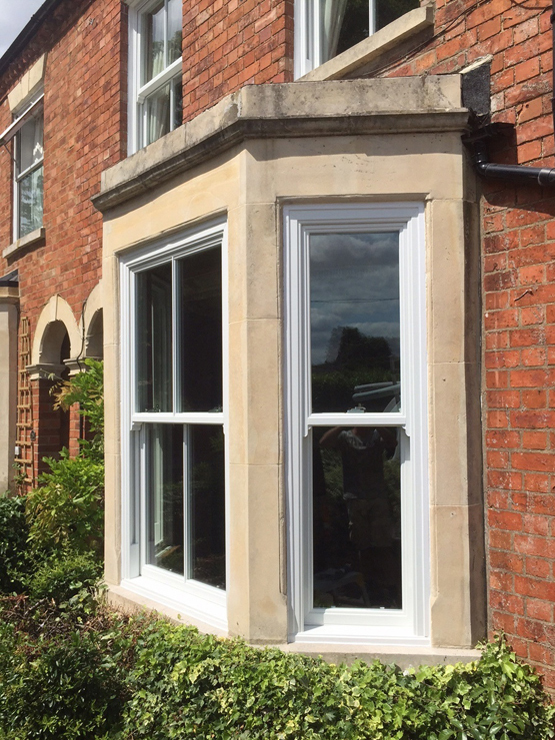 Located on a busy road in Castlethorpe, Nr Milton Keynes our clients wanted to reduce the amount of traffic noise while being sure that they could preserve the character of their home and it’s timber sash windows. 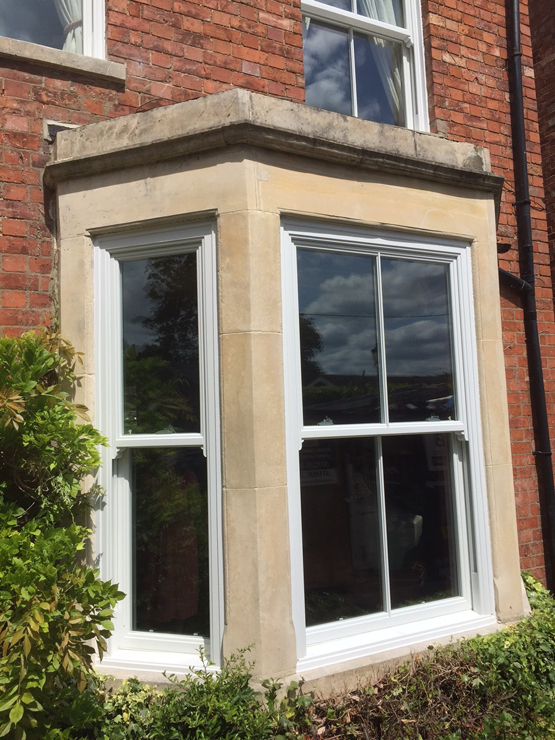 The clients chose 3 different types of uPVC windows to maintain the original look of their previous sash windows and front door. 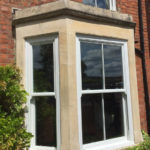 At the front of the property traditional double glazed sash windows with sash horns as an integral part of the frame were used, they do look very traditional and absolutely keep the original character of the property. We used laminated glass for these windows to increase the sound insulation rating and reduce the traffic noise for our clients. 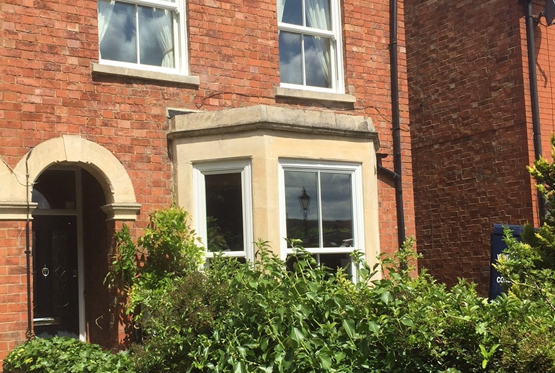 For the rear of the property mock double glazed sash windows were chosen and installed and for the rear extension we installed some uPVC casement windows. 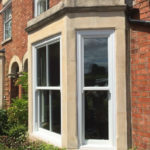 These all have A rated glass which will help with window efficiency. 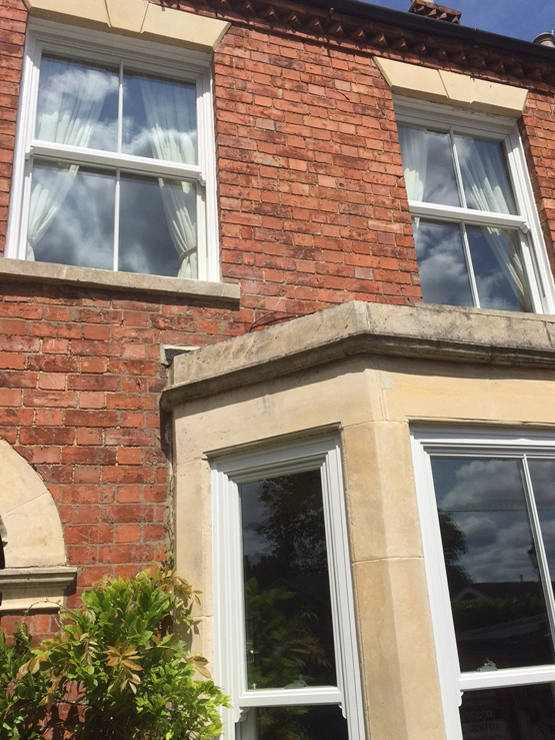 This aided in retaining the original property style and ensured that the clients received excellent value for money. 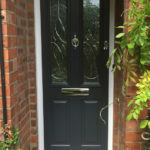 The property was then completed with a beautiful traditional style anthracite grey composite solid door and top light. 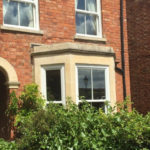 Our customers were originally under the impression that the only way to maintain the character of the building and improve their windows and door was to opt for some more timber windows. 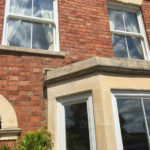 Once we had explained and showed them the level of the products that we can now offer and all of their features and benefits they were convinced that they could maintain the look whilst improving security, noise levels and window efficiency. The laminated glass not only has acoustical benefits but it also offers great safety and security as it does not shatter when broken. The door our clients decided upon is manufactured using a solid timber core that’s obtained from sustainable sources. 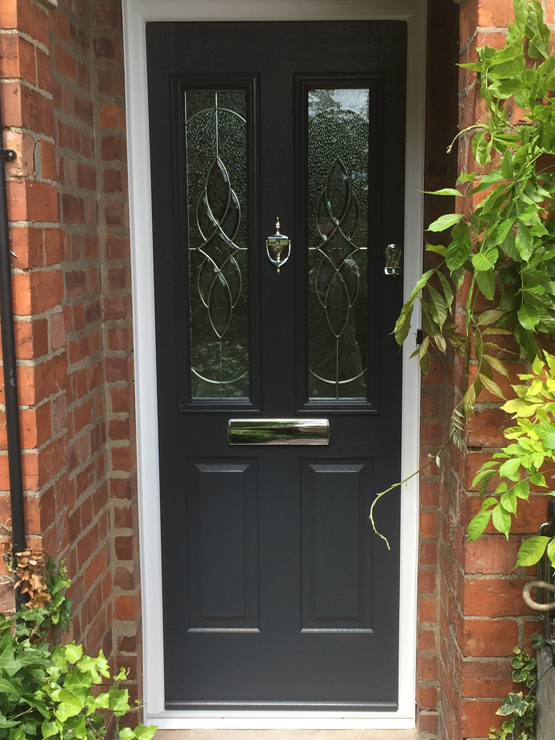 It’s also 48mm thick, 10% thicker than the nearest alternatives and uses a high security Avantis lock, which carries the market’s largest triangulated dead bolt, for greater compression and security. They also chose to have the traditional door knocker added which complements the overall look perfectly. 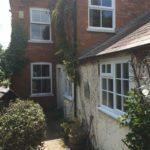 The windows and door more than met the clients aspirations and they could not believe just how much their home has been transformed. The value of their property will also increase as this has been such an improvement.